This morning, @TheWelshWookie and I headed out to do our eight mile run. We had perfect running conditions: it was cool and overcast but dry. However, it was affy windy. So much so that when we got to the harbour the Tarbert – Portavadie ferry wasn’t running! We headed out on around glen road, which was where we ran a fortnight ago. It was quiet, and we kept our pace slow. We then headed back into the village, and along our usual harbour route to Garvel then around the harbour to the concrete and back. 8 miles done. It felt really good today! This was @TheWelshWookie’s longest ever run, and he felt good afterwards, too: the steady, slow pace and fuel practice paid off. I took the MP3 player that Girl Runs Wild sent. And, I can tell you, she has some great taste in music! It has loads of really good, upbeat tracks, including ‘Gloria’ by Laura Brannigan, ‘Suddenly I See’ by KT Tunstall and ‘Grace Kelly’ by Mica. I was so excited to hear a track by The Lightning Seeds that I hadn’t heard for years! (It was ‘Sugar Coated Iceberg’ in case you’re wondering). Then, at around the 6 mile mark, I heard the first track that we both have, it was ‘Teardrop’ by Massive Attack. Love that. To finish the final mile, I had some Mumford and Sons, which was just right at that point in my run. I can definitely say that I am so glad we did the swap: I’ve heard some great tunes I don’t have, or I had forgotten about, and I’ve been introduced to some great music I hadn’t heard before. I’m not sure what Girl Runs Wild will think of my playlist, but I’m looking forward – with trepidation – to finding out! Good luck to everyone racing this weekend: I know it’s LA Marathon time, and the Inverness Half tomorrow too. Are you running this weekend? What’s your goal? Omg, I had a playlist about 8 years ago that had both Suddenly I See and Mika’s Grace Kelly on it! Too funny. Now that I think on it, I should add some Mika to my race playlist. I love his music. It’s just so good for running to! I love that mp3 swapping idea! I’ve got a half tomorrow that I feel totally unprepared for! So my only goal is to cross the finish line in one piece. Great music selection! Sugar coated iceberg – pure class! Pretty windy in Edinburgh for parkrun today. It’s such a great track! The Grace Kelley song reminds me of Warren when we first dated. We picked up CD’s for our first road trip and that Mika was one. I still listen to it on my iPod and I smile when it comes on. I am running a 5k race tomorrow. I love how music can take you back to a time and place! Good luck with your 5K! Maybe we should really look into organising an official swap – there must be ways to swap playlists online (as in, the actual songs, rather than just a list!). Otherwise, we might have to send a whole lot of mp3 players all over the world – although that could be a lot of fun too! I love the idea of a playlist swap. If there’s a way to do it, I would definitely be interested. Oh, and every time I hear that Meatloaf song now I think I will be singing “I battered the hill” lol! That would be cool. I love looking for new songs for my running playlist, in fact that’s another post I’ve been contemplating for my blog after reading about your swap and one or two other music related posts recently! Great! I’ll have a look to see if there’s a way if doing it- if not, we can post MP3 players 🙂 I’m sure Girl Runs Wild and I might have started something good here! Ha, I bet you would! Sounds like an amazing playlist! Totally my style. I knew I’d have an instant PR in my race yesterday since it was my first ever repeat race and I had to walk it last year – so I went from 47:16 to 37:08. I did a recap if you felt like checking it out. Now, if you’ll excuse me, I think I need to make a new playlist! Ha, enjoy playlist making: your race recap makes me wish I could have been there- well done! wow, that’s an awesome number for week 1 !!!! 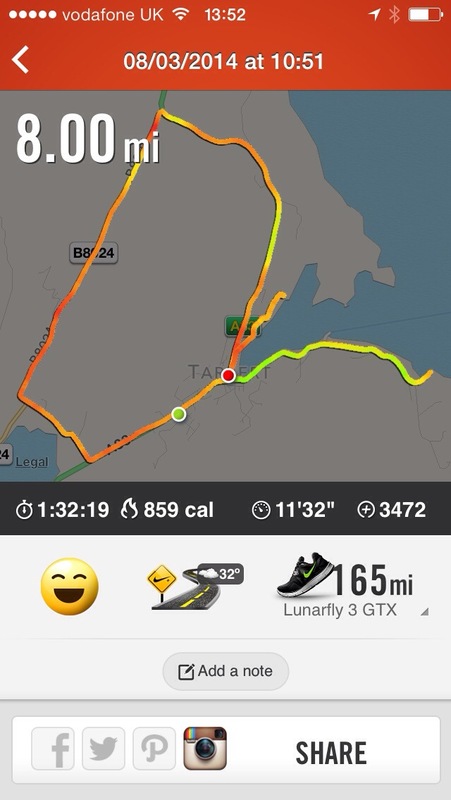 I managed to get in 22km – pretty happy with that! I currently have no playlist 😦 I really need to get on that! Well done for week one!